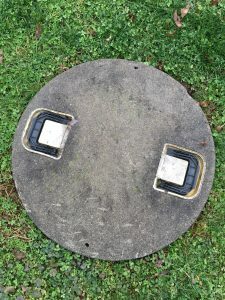 SHOULD I GET MY SEPTIC TANK POWER WASHED? According to the University of Minnesota Onsite Treatment Program, No. The tank should not be washed or excessively cleaned during the pump out. 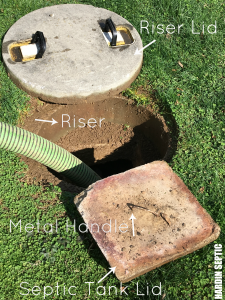 HOW DEEP IS MY SEPTIC TANK? Every septic system is different. Where your septic tank is located, how deep the tank is, how far away from the house, etc depends on the layout of the yard, & the house. In Monroe County, Call the Health Dept. (812) 349-2543 for information regarding your septic system. Most residential tanks are 1,000 gallons. The frequency of having your tank pumped depends on the number of people in your household, usage (based on the amount of water used), the volume of solids (for example, using a garbage disposal increases the amount of solids) and the septic tank size. Sludge accumulates in the bottom of all septic tanks. It is difficult to predict how fast sludge will build up in tanks because many factors are involved. Pumping your septic tank is an important part of extending the life of the septic field. Having your tank pumped regularly, saves money! Septic systems are expensive to repair or replace. Poor maintenance is often the culprit of septic system failures. WHY SHOULD I HAVE MY SEPTIC TANK PUMPED? Pumping your tank is to prevent sludge from building up to a point where it can enter the fingers (or septic field) through the outlet pipe. WHAT IS THE “GURGLING” SOUND I HEAR? The gurgling sound could be a blocked vent (located on the roof). Vents can become clogged from ice/snow, leaves, insect nests or even an animal. MY ALARM IS GOING OFF. WHAT DOES THIS MEAN? The alarm tells you that your pump has stopped working. Only mound or 2 tank systems have pumps. 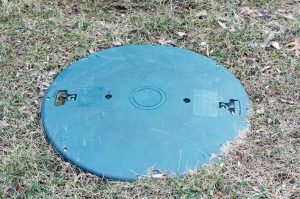 HOW CLOSE CAN I PLANT TREES TO MY SEPTIC SYSTEM? 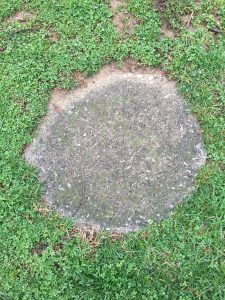 It is best to only have grass planted near and above the septic system, and trees really should be avoided. WHAT BRAND OF TOILET PAPER SHOULD I USE? Use a good quality toilet paper that breaks up easily when wet. 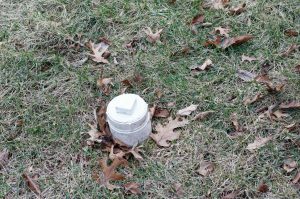 WHAT SHOULD GO INTO MY SEPTIC TANK? Human waste, toilet paper, water from toilets and showers/bath tubs, kitchen sinks, and washing machines. DO NOT put feminine hygiene products, paper towels, napkins, tissues, kitty litter, disposable diapers, cigarettes, hand, baby or wet wipes (even if they state flushable or septic safe), coffee grounds, egg shells, cotton swaps or balls, rubber gloves, plastic or latex items, laundry lint, adhesive bandages, chewing gum, motor oil, paint, condoms, dental floss, hair, plastic or cellophane wrappers, or excessive amounts of bleach and household cleaners into system. This WHITE PIPE is called a CLEANOUT. It is used to clean out/snake your line-NOT for pumping your septic tank.